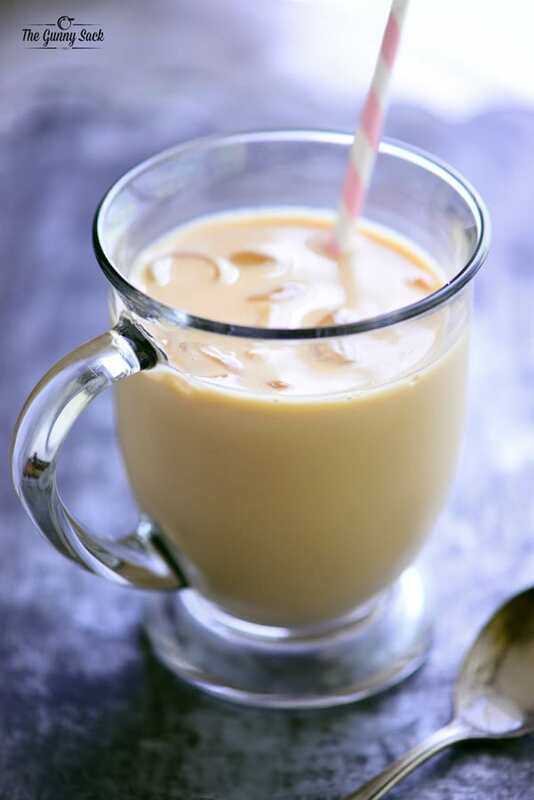 A Dirty Chai Latte is a cool and refreshing combination of chai tea, milk, and espresso over ice. 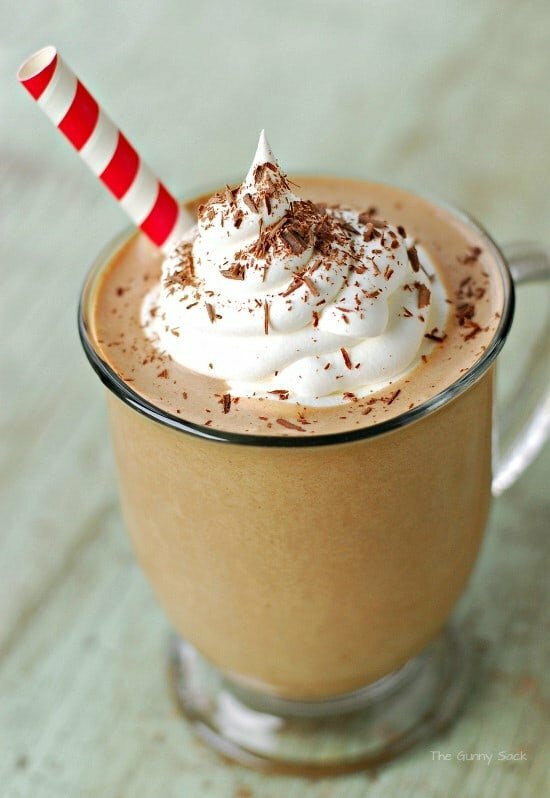 This recipe is great for an afternoon pick-me-up! My sister works at a restaurant and she knows that I love chai tea so she mentioned to me recently that some of the diners order a dirty chai latte. I’ve never heard of such a thing and asked her how she makes it. She said that she mixes ready-made chai latte with whole milk and adds a shot of espresso. It is served over ice. 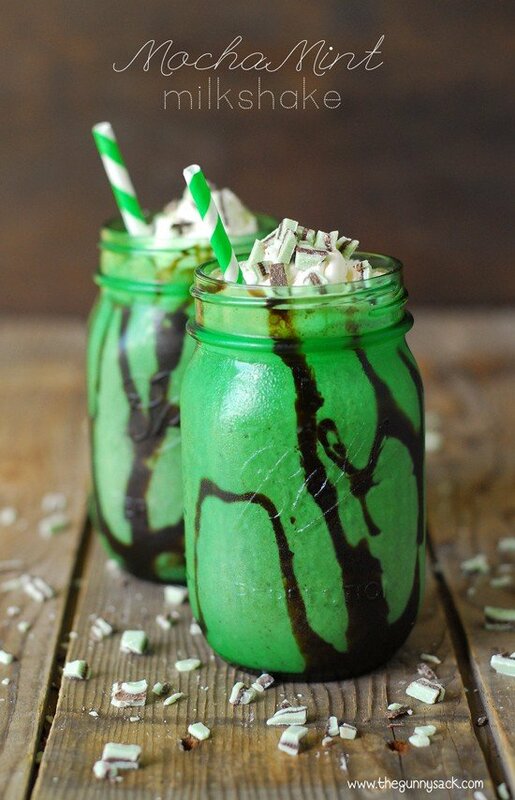 I wanted to try making one for myself, but I don’t have chai latte mix and I don’t have an espresso machine. 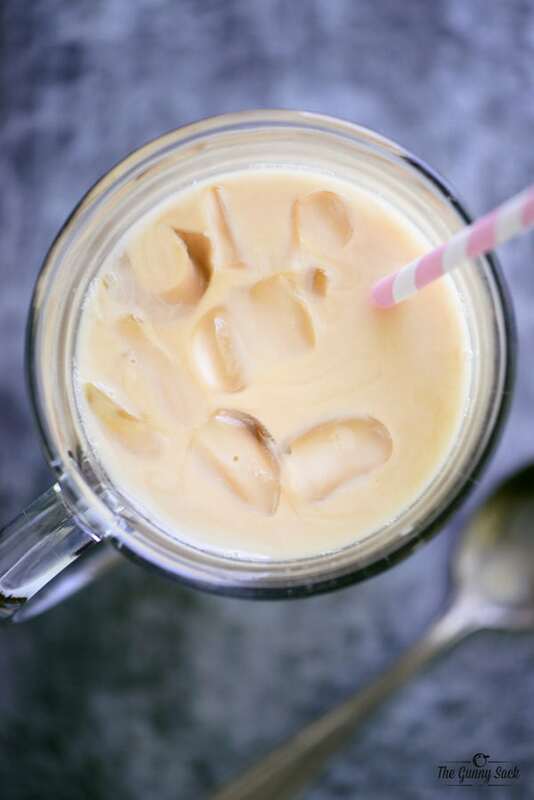 I figured out how to make a dirty chai latte for one using tea bags and my Keurig and I’m excited to share my recipe with you! Disclaimer: This post contains links to products for making this recipe. If you use those links, I may earn a commission. Learn more here. Steep two chai tea bags in four ounces hot water for about five minutes. I dispensed four ounces of hot water from my new Keurig 2.0, but you can heat water in the microwave if needed. I used my favorite chai tea called Stash Chai Spice Black Tea. I don’t have an espresso machine so I used my Keurig. (If you do have an espresso machine, make one shot of espresso.) 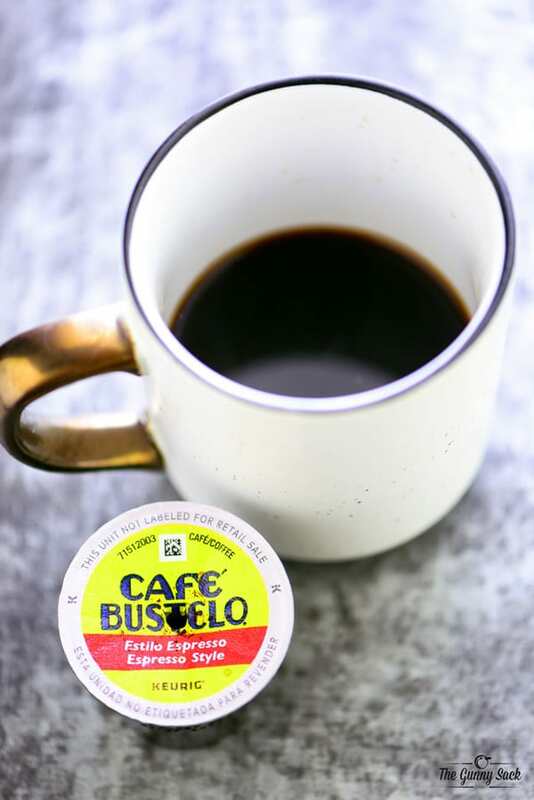 I used Cafe Bustelo espresso style k-cups that make the closest thing to espresso in a Keurig. I brewed the smallest size I could which is four ounces. 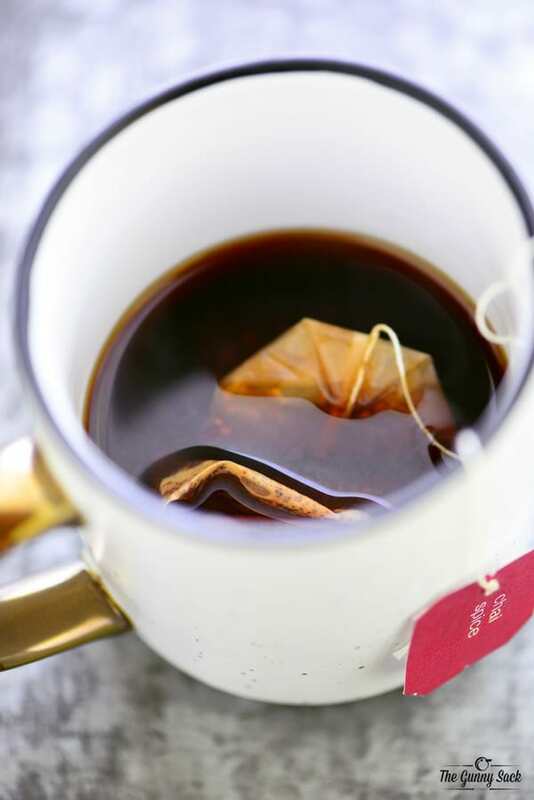 Put ice in a large cup, add the brewed tea, two tablespoons of espresso from the Keurig (or substitute strong coffee or one shot if made in an espresso machine). Add whole milk and a sprinkle of sugar and stir. 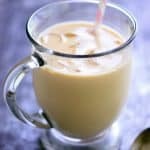 A Dirty Chai Latte is so cool and refreshing on a hot summer afternoon. I love the combination of chai tea and coffee! 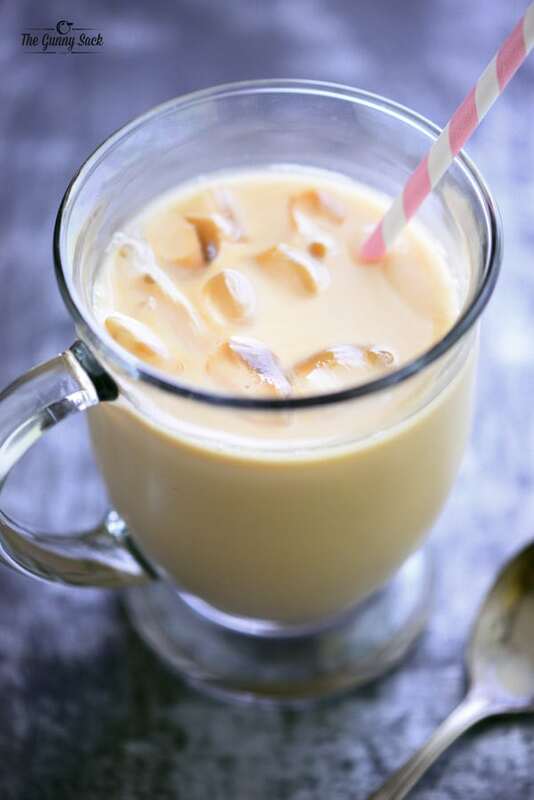 Put ice in a large cup, add the brewed tea, two tablespoons of espresso from the Keurig (or strong coffee or one shot if made in an espresso machine). Add whole milk and sugar. I love dirty chai lattes! Can’t wait to try this! 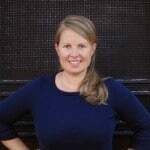 Hi, I'm Tonia, a lover of food and photography! Fill a gunny sack with ingredients, tie on an apron and let's get cooking!